Reach your body’s innate potential for health at Wellspring Centre for Body Balance. 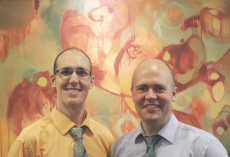 Ashland Chiropractors Dr. Jordan Weeda and Dr. Timothy March are committed to meeting your needs with empathy, listening carefully to you and providing you with a safe healing environment and care that’s tailored to achieving your goals. 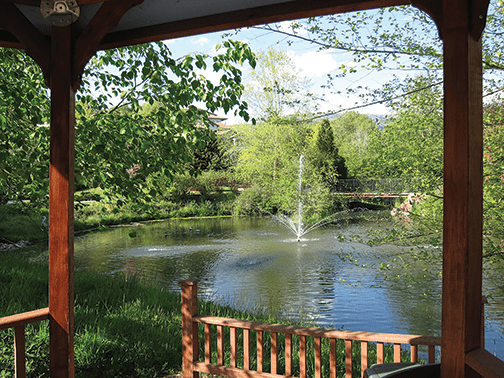 Wellspring Centre offers a unique, highly successful, comprehensive form of natural health care including massage therapy, acupuncture and yoga therapy to help you live in alignment. In today’s interview we speak with Dr. Jordan Weeda about the unique health and wellness community that has become Wellspring Centre for Body Balance. 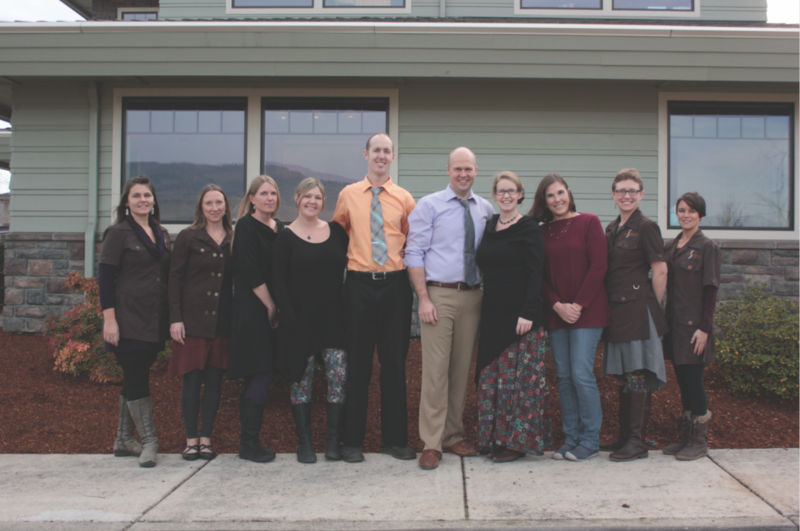 Dr. Weeda, thank you very much for taking the time to speak with us today and congratulations on the success of Wellspring Centre for Body Balance here in Ashland, Oregon. Thank you so much. I’m glad to be here to get to talk about this amazing thing we’ve created, and I’m also grateful to our greater community and patients, without whom there would be no Wellspring Centre. For those who aren’t familiar with us, I’m looking forward to letting everyone know more about what we do here today. 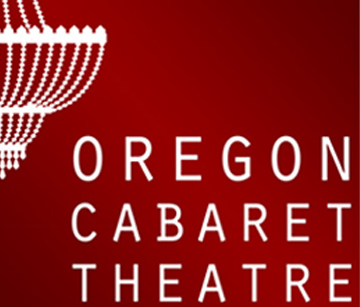 To begin with, I’d love for you to tell us about the original vision you set out to create here in Ashland, Oregon. How have things come together over the past 8+ years? My wife Heidi and I discovered Ashland on a road trip in 2008. We were struck by the beauty of the Rogue Valley and the profound sense of community here. 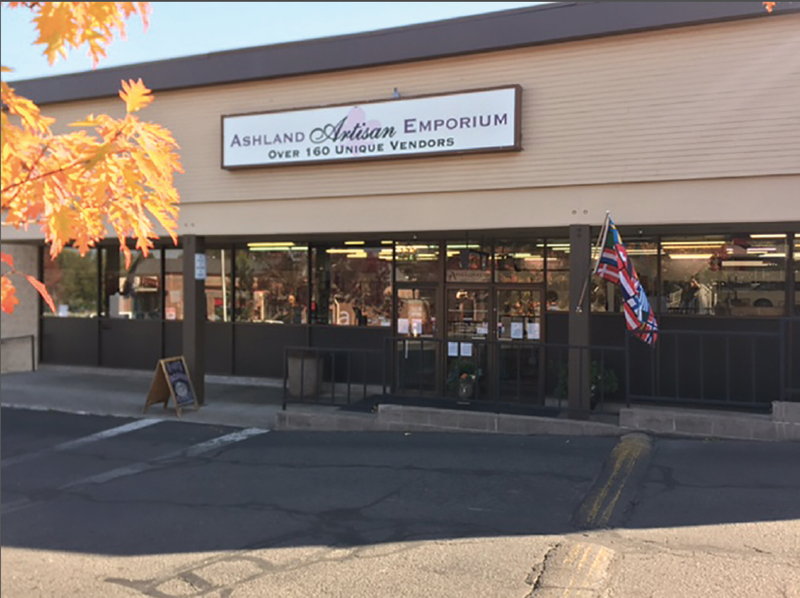 I finished school and internships mid-2009 and traveled for a few months to find where we wanted to settle, but our hearts kept calling us back to Ashland. 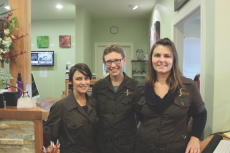 We moved here with our baby daughter at the end of 2009, and founded Wellspring Centre for Body Balance as a small, one-room office on Main Street, with Heidi at the front desk, and me providing all the patient care. 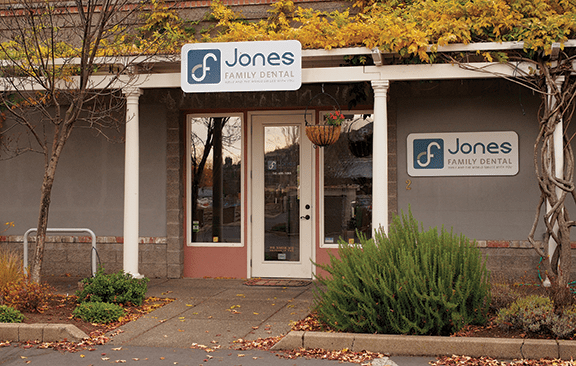 We started small and grew our practice through giving great care, and word-of-mouth referrals. Now, almost 9 years later, Heidi is primarily at home with our four kiddos. We have an administrative staff of three, one of whom doubles as a chiropractic assistant working with our patients on non-invasive, drug-free healing modalities. Dr. Tim March, DC joined our team in 2012 as a chiropractor. His wife, Timber Hart, LAc also joined our clinic at that time as our acupuncturist. We also have two massage therapists, and a yoga therapist. Heidi is definitely still involved behind the scenes, and Wellspring Centre still really feels like a family affair. Our patients often comment that if feels like they are part of the family. Wellsprings Centre has earned a very good reputation across the board for the health care services that you can provide. Can you please give us an overview of these services? We offer gentle chiropractic care, massage, acupuncture, yoga therapy, and additional non-invasive pain-relieving therapies. That gives you an overview, but what we do here is so unique, I feel like I have to go a little deeper for people to really see the whole picture of Wellspring Centre. Dr. March and I specialize in gentle, holistic upper cervical chiropractic care, a technique that avoids any twisting or popping, and instead uses gentle adjustments to the atlas, the top bone of the spine, located in the neck, to produce profound changes in the whole system. Our background and training is in NUCCA and Quantum Spinal Mechanics, and Dr. March uses Koren Specific Technique as well. Dr. March and I actually first met while we were both still in chiropractic school at a NUCCA conference in 2007. We focus our clinical attention on this area because it has such a profound impact not only on the musculoskeletal system, but more importantly, the central nervous system. 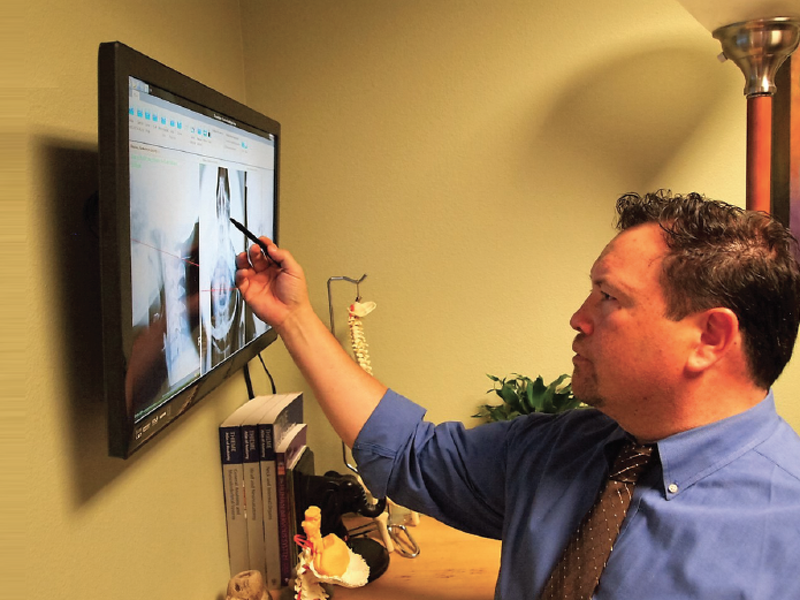 We both have training that goes beyond the upper cervical spine, so we can bring whatever tools a particular patient needs in the course of their care. We utilize myofascial work, scar tissue release techniques, visceral manipulation, extremity technique, and gentle spinal adjustments holistically to support the body in restoring and staying in alignment. But beyond the technique side of things, the thing we’re most passionate about is listening. Mainstream healthcare continues to move further away from one of the most critical parts of health care. I recently saw an article that said the average physician only lets 11 seconds pass before interrupting the patient! Giving our patients time to talk, not only gives the provider valuable information in how best to serve the patient, but telling the story often lends its own level of healing. Our Chiropractic Assistant, Lo, compliments this work by providing non-invasive therapies that can reduce swelling, decrease pain, and increase range of motion to better help our patients both recover their wellbeing more quickly, and allow their bodies to benefit more deeply from the work that we provide. Our massage therapists each have a strong background in diverse hands-on healing techniques. Kasey Acker, LMT has over 20 years of massage experience, and is incredibly skilled at deep tissue work, but her passion is Ortho-Bionomy. This is a very gentle massage technique that grew out of osteopathy, and it dovetails beautifully with chiropractic care. Ortho-Bionomy helps people break the cycle of pain by changing the stress and pain patterns in the person’s body. Sometimes the body’s natural ability to remain balanced is short-circuited by stress, injury, accident, improper posture, emotional experiences, or by overtaxing the body’s limits. When the body is out of balance, it adapts as well as it can, but in the process, it may create patterns of even greater stress. Kasey works with our patients to help the body move out of these dysfunctional patterns and restore normal functioning. Just like upper cervical chiropractic, this work stimulates the body’s innate wisdom to heal, the wellspring within. Massage therapist Kaijah Bjorklund, LMT joined our team in 2014 after moving to the area from Prescott, AZ where she was regularly recognized for her clinical excellence. During her decade plus of massage practice, she’s crafted a specialized approach that she refers to as “integrated body work,” drawing from techniques including Biodynamic Craniosacral Therapy, Myofascial & Structural Balance, Orthopedic & Sports Injury, Deep Tissue and Maya Abdominal Massage. Acupuncturist Timber Hart provides traditional acupuncture with needles, but also uses light and sound vibration at acupuncture points for those who are uncomfortable with needles. Her treatments can include cupping, essential oils, and other traditional hands-on Chinese Medicine techniques. Finally, yoga therapist Abby Hatfield, CYT has been with us since she first began her journey into yoga therapy. A yoga practitioner and teacher for over 20 years, she’s currently pursuing certification in Yoga for Chronic Pain, bringing these simple yet powerful techniques of mindful breath and body movement to people who struggle with pain. We’re seeing research now that shows that this type of work can actually reduce dependence on opioids for pain-sufferers while improving quality of life. Like everything that happens here at Wellspring Center, Abby’s work achieves big results with incredibly gentle tools. I am curious to hear what qualities you looked for in choosing the team you assembled to work around you? Wellspring Centre takes a real community approach to healing. We look for team members who are ready and able to be part of that community, working together, sharing information, trusting the skills of another practitioner to help our patients deepen their healing, and Live in Alignment. In addition, we are each other’s care providers — we provide the best care when we also receive the best care! We truly believe in what we do. Of course, there’s more to community than what we do at work, and so we also look for folks who we’re excited to get to know outside the office. Our team gets together on our own time because we love and value each other as individuals, not just colleagues. Last year we shut the office for a couple days so that we could all go camping together on the Oregon coast. We brought our families and shared meal prep and driving duties. We go to concerts together, we go bowling, and our kids have play dates together. Dr. March is an avid permaculture homesteader, and we have both staff members and patients whose gardens are full of plants he started as seeds or shared as starts. 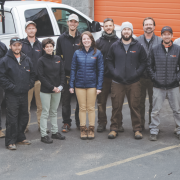 The love and connection among our team sets the tone for what we hope to create in the broader community and beyond. We also love finding folks who have a hunger for learning more. 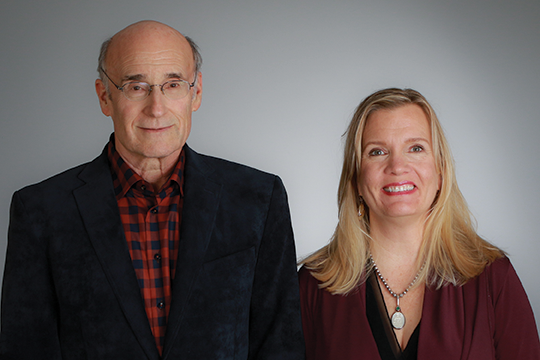 Dr. March and I have the unique opportunity to collaborate with one another and grow and learn from our individual experiences working with patients, and what we pick up from a technique seminar or meeting with another colleague in another state. We continue to learn and deepen our skill set, always striving to provide the best care possible. Our other practitioners are the same way. Lo, who we brought on as front office staff, has such a passion for the healing work that we do here that we sent her to school to become a Chiropractic Assistant. But she wanted to go beyond the required CA training, and decided to go deeper, taking classes at Ashland Institute of Massage to give her a more complete knowledge and understanding of anatomy, physiology, and kinesiology and how she can contribute to our patients’ healing. 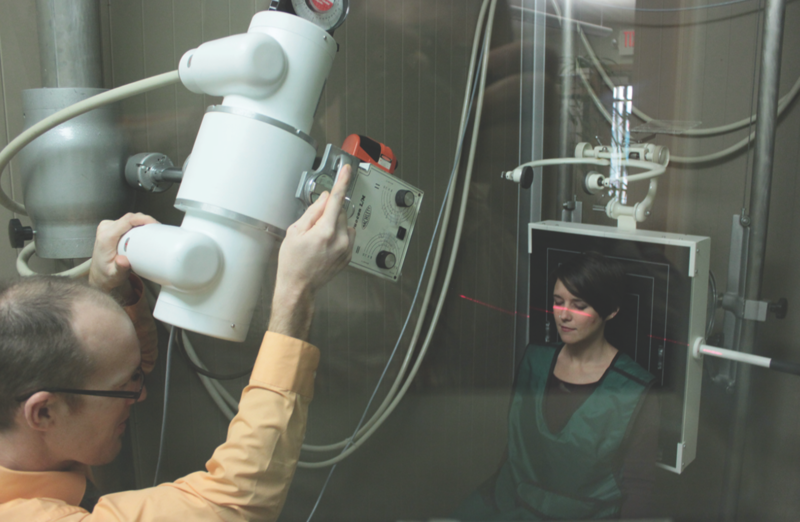 Lo now provides an array of treatments for chronic and acute injury and pain, including ultrasound therapy, electrical stimulation, cold laser, rapid release, and more. I have no doubt that her offerings will continue to increase, because like all of us here at Wellspring Centre, she never stops learning. I’ve had patients comment in the past on some of the turn over we’ve had in our front office staff, and while I hate to say goodbye to folks that I care about, I also see this as a sign that the folks who join our team really invest in our values and vision. Our mission statement is that we change the world by assisting our patients in restoring and maintaining a balanced body, mind and life so their unique potential can be expressed in the world. When a person joins our team and begins to experience the care we provide, oftentimes they are able to clearly identify the gifts they most want to give the world, maybe for the first time in their lives. Wellspring Centre in this way acts as a springboard for our team members to live their greatest life, and whether they stay here to do it, or move on, we see that as a success. Watching our current and former staff members serve their true calling in the world shows us that we chose the right people, people who understand the value of what we do here, and who are willing to allow it to act in their lives. In building your practice you have really worked to achieve a very integrative experience. How does your team approach problems differently that might be otherwise experienced in a solo practice? This community that we’ve created really allows for beautiful collaboration between staff and practitioners throughout the Centre. We all feel really comfortable coming to each other with our ideas or questions about how to best serve the patients that we share. What I love most is that if a patient comes in with an acute injury, I can usually get them in with Lo for an additional therapeutic treatment to speed their healing the same day, and if they need a massage, we can almost always get them in for that the same week. All their records of care are in charts that are accessible to any provider in our office who is treating the patient, so we all stay on the same page. And our team meets all together every month, giving us a consistent, built-in opportunity to touch base, though we typically check in with each other much more often in the halls or the break room to confirm that we have all the information we need to provide comprehensive, seamlessly integrated care to our patients. I’ve put a lot of effort into making sure that just about everything I typically refer my patients for is available right here at the center, and that the lines of communication stay open between all our team members, to support our patients’ highest good. With the wide array of care you are able to provide to your patients. What types of conditions and who is best suited to come to work with your practice? My youngest patient was just minutes old and my oldest was 98. We’ve worked with all types of people from young athletes, retirees, and farmers, to teachers, software engineers, and lumberjacks. As long as you have a spine and nervous system and a desire to function at a higher level, you qualify! I will say that with the integrated model we provide here, with so many services under one roof, we help a lot of patients with chronic issues that they have not had success with dealing with elsewhere, and we also serve folks who need care for an acute injury, like a car or workplace accident. We’re able to bill personal injury plans for car accident care, and Oregon worker’s compensation program for on-the-job injuries. When folks come in for this kind of care they can experience really rapid healing with the help of upper cervical chiropractic care, massage, acupuncture and therapeutic modalities all happening in concert here at the Centre. I can’t tell you how many times Dr. March or I will meet with a new patient and once the light bulb goes on and they understand the reason their body has not been able to heal properly for so long, they often say, “Where have you been for the past 20 years? !” We love seeing people transform not only through tremendous postural improvements, but in their outlook on life. This is what our core philosophy of “Live in Alignment” is all about. The array of problems we’ve helped patients with is pretty vast. Low back pain, and even knee and foot problems can often be related to a spinal distortion caused by an upper neck imbalance. Even people who want to optimize their wellbeing come to our clinic. Upper cervical care has a profound effect on the postural system and we often see people who don’t have any symptoms but they are forward-thinking enough to understand that if they see a postural distortion in their body now, it will become a problem later. Dr. Weeda, in striving for excellence in your work, I am curious who you have found inspiration from to do what you do. I think our patients are truly my greatest inspiration, and I think that’s true all of us at Wellspring Centre. When we see folks who have struggled for years with a problem they thought they would have to live with for the rest of their lives return to wellness, the joy and gratitude they bring back to the office is so inspiring. I’ve had patients pay for their friends to receive our care because they want to share the wellbeing they’ve experienced. I’ve seen patients give their appointments to other folks in the community who are in pain and needed that appointment more or sooner. This community is really my greatest inspiration. Last year you moved the practice to a new building at 518 Washington Street. How have you grown into the space and what changes have you made to make it uniquely yours? 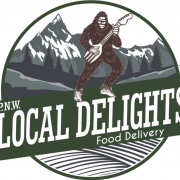 We were bursting at the seams in our previous location, and this new location really fit the bill. It was essentially a big open room and we had our work cut out for us. My wife Heidi is an interior designer by training, and rather than having some outside company design our space, she took that on and brought her incredible eye to transform this sort of shell of an office into something really beautiful that meets our needs and gives us room to grow. I did a lot of the demo work, and some of the remodeling. We hired Chris Wren of Uber Hammer as our contractor and he did a great job. We’ve always supported the work of local artist and Wellspring Centre patient Leah Fanning*, who uses natural pigments that she makes herself to create beautiful abstract and figurative paintings. Our new office gave us the opportunity to feature even more of her artwork. We particularly love the round canvases she’s working with these days. We also hired an incredible woodworker and patient, Edward Boyd* of Trinity Woodcrafters in Weed, CA to make our front desk and wooden fixtures. He used Oregon Madrone to build these really unique live-edge works of art. We love to keep it local, keep it in the community, and I feel like the atmosphere in our office is enhanced by the fact that creating this beautiful new space was a labor of love, not just by Heidi, or me but also by folks throughout the community. Building strong and long-term relationships both within your staff and the community has been key for you. Absolutely! And we’re always looking to grow our community and deepen those relationships. Next month, on September 20th, we’re having a block party at the Centre starting at 6pm, where folks can come and enjoy food and community. This is a great chance for people who haven’t come to see us yet to get to know Wellspring Centre, and for those who are already a part of our community to spend some quality time with each other. We often see friends meeting, greeting, exchanging quick hugs as one is going in to the adjusting room and one is coming out. We hope that our block party will be a place where friends can connect without the time pressures of getting in to their appointments, and where we can meet new friends and they can meet us. We also share our parking lot with two dental clinics, a medical clinic, and several other healthcare providers who are invited to the event. Moving forward into the future, where do you see Wellspring Centre going? We’re searching for just the right person to come in as a third upper-cervical chiropractor to meet the growing demand for this safe, gentle and effective care. It’s been a challenge finding the right fit for the unique community we’re working to build at Wellspring Centre. I’m finding that even though it comes naturally to me, it’s not just anyone who is ready to collaborate and care as deeply as we do here at the Centre. We’ve actually been really blessed and lucky to find this rare combination in Dr. March, Kaijah, Kasey, Lo, Timber and Abby, not to mention our administrative staff Alison and Maggie. We’re taking our time with this process, but I so look forward to the day when I can share with our community that we found just the right person to grow our team. We’re also just beginning to work on a new venture to provide free care to local fire fighters. We’ve been so filled with gratitude for the work they do to protect our homes and natural areas that we want to find a way to give back, and we’re sure the Wellspring Centre community feels the same way. So we’re setting up the Wellspring Centre Firefighter Fund, where folks can contribute whatever they can to help provide massage, chiropractic and other healing modalities to firefighters for free. This project is just in its beginning stages, but if you’re inspired to be a part of our Firefighter Fund, just ask about it when you come into the Centre or call 541.482.2021 to make a contribution over the phone. Thanks so much for speaking with us today. Are there any last thoughts or comments you would like to share with our readers? Don’t hesitate to call for a free consultation. I often meet people who have suffered for years with an issue that they don’t realize could be helped with upper cervical care. And mark your calendars for our open house block party September 20th at 6 pm! *All patient information is confidential. These individuals have given us permission to share that they are a part of our patient community.